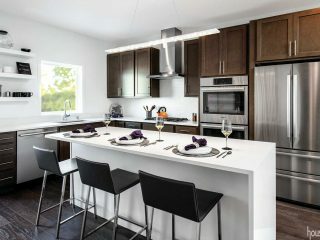 There are plenty of seating options at the oversized island in the middle of the kitchen. 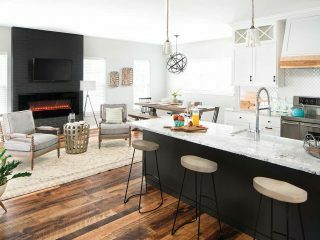 The owners of this home in Bath, Ohio had two main goals when they decided to overhaul their dated kitchen: Open up the space and give it a rustic farmhouse look. “They wanted a more open style kitchen with a large island,” says James Justice, owner of Architectural Justice, the company that handled the complete remodel project from design through installation. 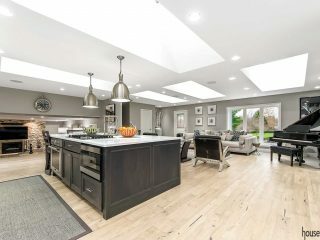 The design included creating an open pantry by using an existing hallway, building the island, selecting the materials and styles for the cabinetry and countertops and crafting the custom range hood. “We have a granite, cabinet, and metal shop here on site,” Justice says, “so with remodeling projects we can tie all of it together.” And tie all of it together they did. 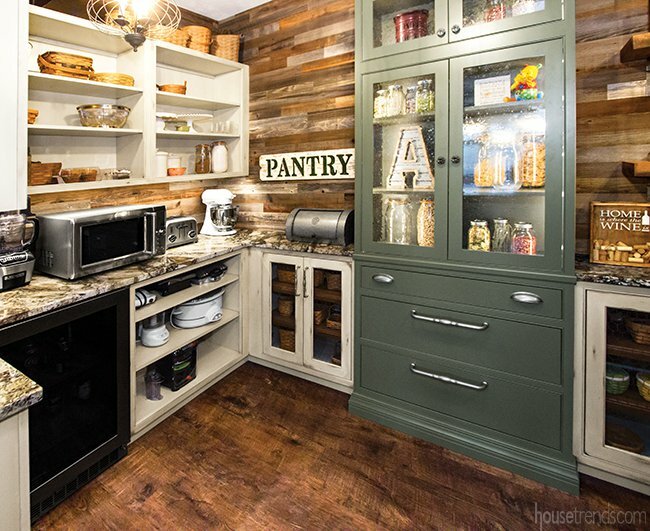 Heavily distressed maple cabinetry was combined with custom elements to create a mix of colors and styles. 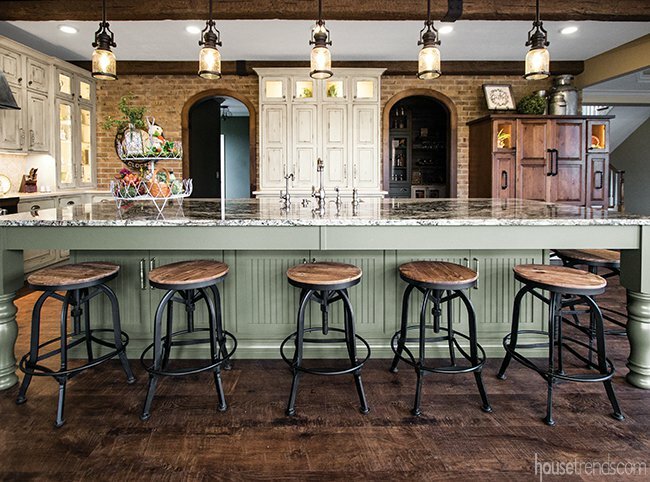 Wood beams on the ceiling and floating shelves for the pantry enhance the warm farmhouse feel. 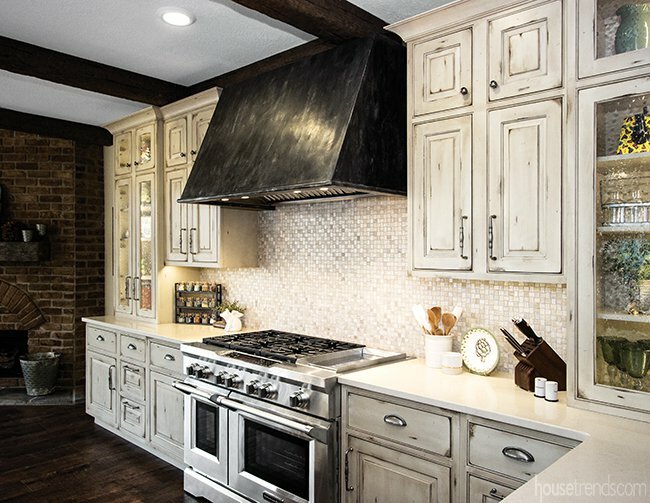 The custom zinc range hood is a standout in this remodeled kitchen. 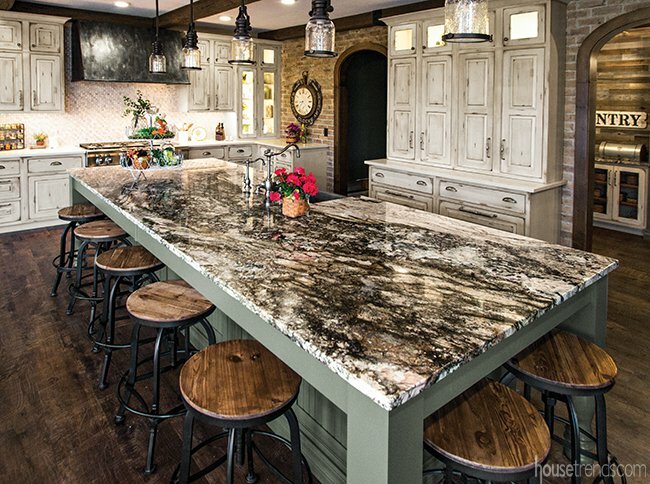 The countertop on the kitchen island is made of Barricato Granite from Brazil. 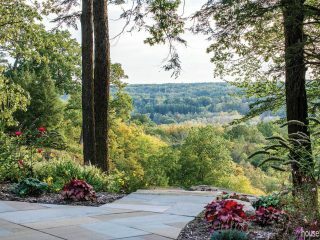 An exotic granite from Brazil that the homeowners spotted while visiting the granite shop in Medina was used for the countertops. “One of our specialties is bringing in some really unique granite,” says Justice.